The Pebble Limited Partnership has long been criticized for many things, but as of Dec. 22 that list no longer includes failure to file for environmental permits. Pebble and its Vancouver-based parent company Northern Dynasty Minerals filed for a Clean Water Act Section 404 wetlands fill permit with the U.S. Army Corps of Engineers. Alaska Army Corps officials said Dec. 21 that the wetlands fill permit application detailing the types and volumes of fill material the project will use and the area of wetlands it is expected to cover would first be subject to a 15-day completeness review. If the wetlands application is deemed complete the Corps will then issue a public notice saying as much and — given the size of the project — issue a subsequent determination that the project needs to go through the full, multi-year environmental impact statement process. Northern Dynasty leaders said early in 2017 they planned to start permitting for the wildly controversial project by the end of the year, a promise that was met with understandable skepticism. They made good on it with nine days to spare. Pebble Partnership and its ownership groups, which have varied over the years, had consistently been faulted for making numerous claims dating back to 2005 that they would soon start the environmental reviews. The permitting process is also seen as one way to eventually provide closure for those on each side of the contentious debate over whether the world-scale mine proposed at the headwaters of a world-scale salmon fishery is appropriate. In 2014, the Environmental Protection Agency proposed blocking Pebble based on a larger mine concept outlined in financial disclosure filings by Northern Dynasty. Shortly thereafter Pebble Partnership sued the EPA, claiming the agency’s actions were made on a biased, anti-mine premise and that it illegally colluded with opponents of the project. That suit was settled in May and because the EPA is currently evaluating public comments on whether to lift the proposed determination that would prohibit the project. With a total mine facilities footprint of 5.4 square miles, the new plan is less than half the overall size contemplated by the EPA but still larger than the 4.2-square mile footprint the agency said could be acceptable. In statements issued shortly after Pebble’s announcement, opposition groups said the permit filing changes little, other than renewing determination to stop the project. “It took Pebble Limited Partnership 12 years just to file the paperwork asking the Army Corps to look at this project,” Bristol Bay Economic Development Corp. CEO Norm Van Vactor said. A few days earlier on Dec. 18, Northern Dynasty issued a statement saying it is close to finalizing a deal with fellow Canadian mining firm First Quantum Minerals for investment in Pebble. Northern Dynasty is the sole owner of Pebble after previous partners Anglo American and Rio Tinto walked away from the controversial copper and gold project several years ago. In the case of Anglo American, the company ended its partnership on the project in 2013 after spending $541 million on exploration. Since then, company officials have acknowledged the need for a large investment partner to fund Pebble’s development. Under the terms released of the preliminary deal, First Quantum would contribute $150 million to Pebble over up to six years with a $1.35 billion option to buy a 50 percent stake in the project. In a Dec. 21 interview Collier said he expects to have the partnership finalized by the middle of next year. 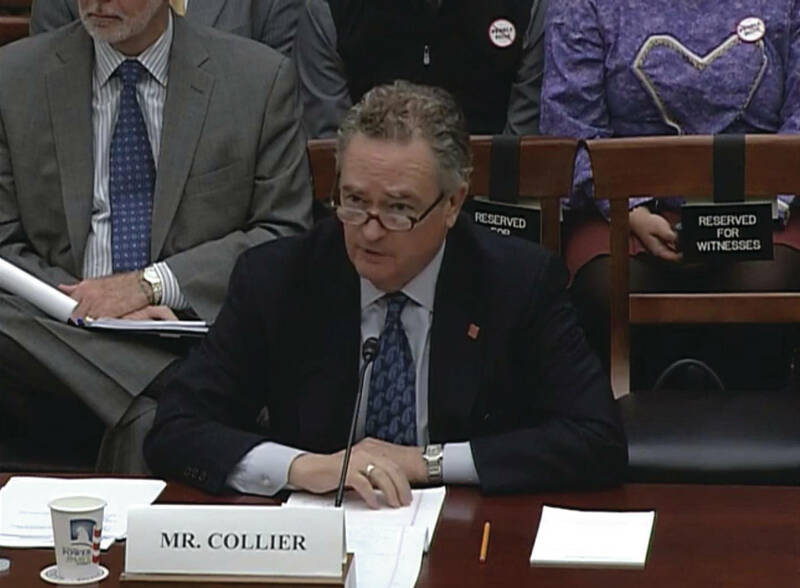 Collier said his company doesn’t yet have a solid cost estimate for the scaled-back mine plan he unveiled in October, but that would materialize as permitting plays out.